Derbyshire based trio Haiku Salut conquered our ears with their sweet and quirky melodies and arrangements, crafted mostly using accordions, pianos, glockenspiels and ukuleles. 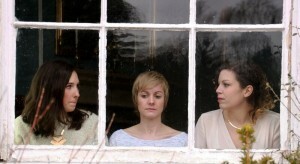 Made up of Gemma and Sophie Barkerwood and Louise Croft, the band's two albums, Tricolore and Etch and Etch Deep, display their inventiveness and opens a window onto their unique and magical musical world, part folk, part classical and tinged with electronic influences. So we're thrilled to bits to start September with a marvellous mix of tracks picked by the band! Dan Deacon‘s latest album, America, culminated with a four-song suite called ‘USA’ and featuring ‘USA I: Is a Monster’, ‘USA II: The Great American Desert’, ‘USA III: Rail”‘ and “USA IV: Manifest’. Now, and coinciding with the recent release of a new single on the Adult Swim Singles series, Dan Deacon teamed up with director/editor Dave Hughes (Off The Air/Adult Swim) to create an epic 22-minute acompanying video for the entire suite. 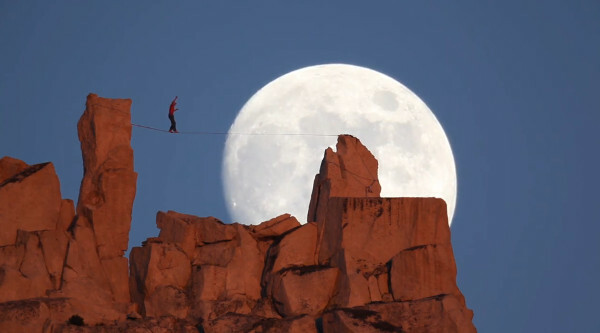 There’s no excuse to miss Deacon’s monumental suite and this amalgamation of footage including animals, cities, splashes of colours, tightrope walking and loads more. Enjoy. America is out now via Domino. ‘Why Am I on This Cloud?’ is the brand new single from Dan Deacon, set for for release this Monday as part of the 2013 Adult Swim Singles series. Since this latest series kicked off earlier this month, Adult Swim have already released singles by El-P and Killer Mike, Kitty and Metz and there’ll be more treats over the next eleven weeks from the likes of Autre Ne Veut, Mac DeMarco, Lightning Bolt, Marnie Stern and Pig Destroyer, to name but a few. Now put your headphones up for Dan Deacon’s ‘Why Am I on This Cloud?’. 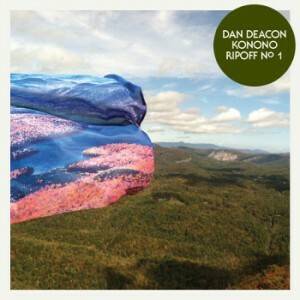 Dan Deacon‘s contribution to Record Store Day this year comes in the shape of a 7″ single aptly called Konono Ripoff No. 1, featuring the title track on the A-side and an instrumental version of it on the B-side. Each track was performed by a different set of dual drummers, Kevin O’Meara and Jeremy Hyman on the A-side and Denny Bowen and Dave Jacober on the instrumental version. April 20th is when it hits a store near you, till then blast ‘Konono Ripoff No. 1’ loudly with the embed below. Philip Glass, one of the world’s most celebrated composers, turns 75 this year and to commemorate it, the most impressive group of talented musicians contributed to Rework: Philip Glass Remixed, a collection of Glass’s original compositions that have been reworked and remixed. 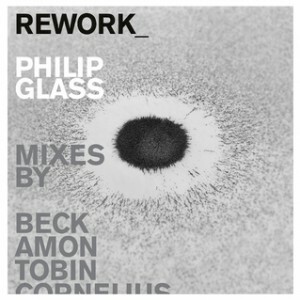 Other than Beck, Rework: Philip Glass Remixed features remixes from Tyondai Braxton, Cornelius, Dan Deacon, Amon Tobin, Peter Broderick and more. The album will be available as a double LP and double CD and is slated for a October 23rd release via Orange Mountain Music / Ernest Jenning Record Co. and The Kora Records. You can pre-order it now. We have just been graced with the first cut from the forthcoming album, a remix of ‘Rubric’, which comes from the hands of prodigious composer and musician Tyondai Braxton. It is amazing beyond belief and you’ll be hitting play again the second it ends. Here it is. 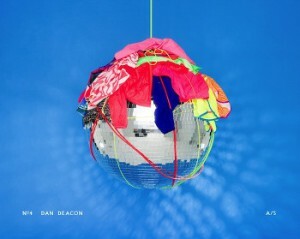 A brand new single taken from Dan Deacon‘s forthcoming album has just surfaced the web. This is the second taste we get from America, following the mighty first single ‘Lots’, posted here just over a month ago. America will hit stores on August 28th in North America and a day earlier in the rest of the world via Domino. The new track called ‘True Thrush’ “is the main 2012 summer time jammer” as the electronic wizard puts it himself. And who would disagree?